Hey gang, Valkor here. 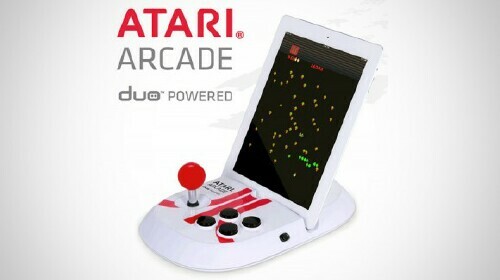 And I'm finishing up the Duo trio with a look at Atari Arcade for the iPad (its Duo Powered). Now I really enjoyed the Duo Gamer and I especially loved the hell out of Duo Pinball, but now we have a product that not only looks good but feels like an authentic arcade controller. Let's check it out. Other than the Duo Gamer, there are a handful of controllers out for Apple's iPad tablet, but the Atari Arcade is special. For one it doubles as a stand and requires no batteries. 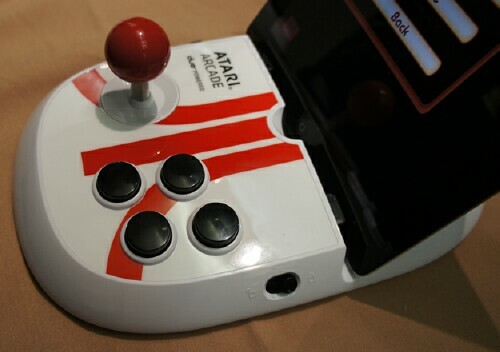 At the face of the device you have your authentic arcade joystick and four buttons. Plus on either side you have two tabs that lock the tablet in place. 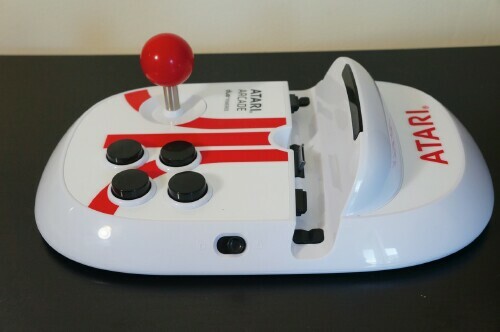 The entire package is white, featuring a big red Atari logo on the front and the Atari name on the back. Much like the previous Duo controllers, the Atari Arcade only works with the Atari's Greatest Hits app, which features 100 Atari arcade and 2600 titles. Games can only be played with the dock on the vertical, which is fine by me; that just gives it a more authentic arcade feel. Other than that, once you pop in the device, you're ready to play. Oh and lest I forget, you can purchase all 100 games for 10 bucks (it's actually charging 5.99 right now), or you can buy the games in packs of 4 for 99 cents. I think it's a pretty sweet deal; personally I like to pick and choose as some 2600… I'm not really a fan. So after putting the Atari Arcade stick through its paces, it's time to render a verdict in the TOV Breakdown. My gaming world started with the 2600 and now it appears that I've come full circle, embracing once again the games of yore. 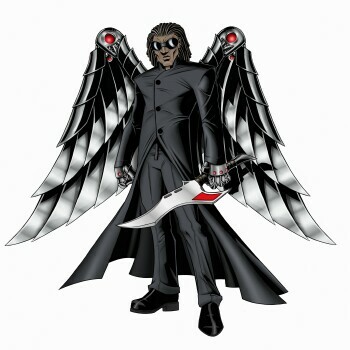 Hmmmm I kinda make it sound like my gaming world is coming to a close when really its far from it. The Atari Arcade eliminates the need of having to use the touch screen, giving these classic titles that authentic arcade feel they deserve. There are some games where the joystick just nails it and others… well, I don't want to jump ahead. Next, the Atari Arcade only works with one app. But unlike the previous controllers, that one app comes with 100 retro games. So you're actually getting more bang for your buck, especially if you buy all 100 games in one shot. Finally I love the sounds when moving the joystick or button mashing; all I need now is a row of quarters lined up on the screen and some kid behind me going "can I get yo last?". Overall, if you're a classic gaming enthusiast and you love playing games on your iPad, then this is the joystick to get. Games like Centipede, Millipede, and Missile Command were trackball games; of course when released on the home version you were limited to a joypad, but even then it was awkward, just as it is today. Now if Duo makes a trackball controller, then we'll be in business. I have to say I'm happy with the Atari Arcade and I think you folks at home will enjoy it as well. It's not spot-on perfect, but it feels right and the games you get aren't all that expensive. If you're into classic gaming then this one is a no-brainer! 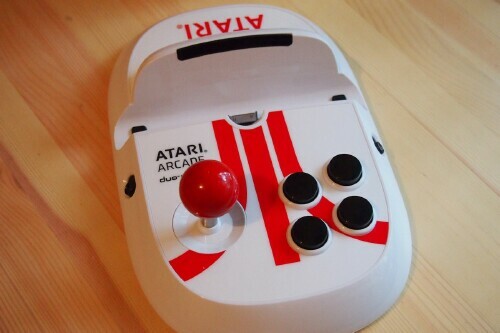 So out of TOV 5 stars, I'm giving the Atari Arcade (powered by Duo) 3.5 out of 5 stars.